BPA, or bisphenol-A, is a dangerous chemical linked to health concerns from digestive problems to issues with brain development. It’s recently been found in 91 percent of Canadians and is present in around two billion products here in the U.S. that we use on a daily basis. Because it’s the most harmful on developing brains and bodies, children and pregnant women especially need to avoid contact with BPA. While the industry claims that BPA exposure levels from their products are safe, that claim seems a little shaky when you start adding up all of the places we come into contact with BPA. Here are some of the common places we come into contact with BPA each day and how to limit exposure. 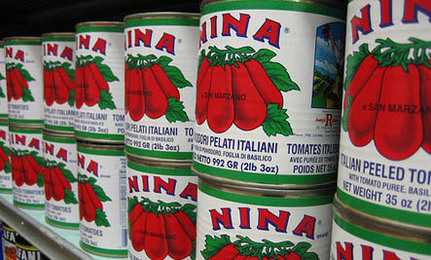 While some companies have taken the BPA out of their cans, most still use this harmful chemical in the canning process. Your best bet is to either hunt down BPA free canned foods, like beans from Eden Organics, or avoid them all together. This is especially important with more acidic foods like tomatoes. You’ll want to stick with fresh tomatoes or the sort that come in a glass jar or cardboard box. BPA has been found in many varieties of canned soda. This is a pretty easy issue to address! Soda isn’t the healthiest option to begin with. Sticking with water and tea is better for your body beyond the BPA. If you do want to treat yourself to a soda pop, you’re better off with the sort from a soda fountain. 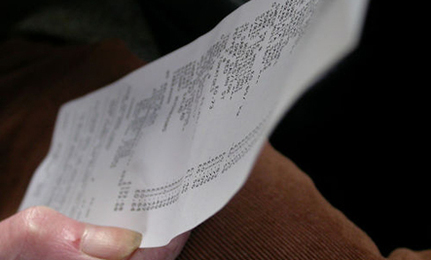 Most types of cash register receipts contain BPA. Since it’s a “free” form of the chemical, that means it gets onto your hands and into your body in greater quantity than with some of these other products. If possible, just say no to the receipt when you’re at the store. If you do handle receipts, wash your hands as soon as possible, especially before handling food. You can also ask the store manager if they’re using BPA free receipts. The types that do not contain BPA are thermal paper from Appleton Paper or regular “bond” paper where the information is printed onto the receipt using ink. That bottled water delivered to your home or office is most likely stored in #7 plastic, and there are alternatives you can seek out. You’ll also want to check your baby bottles and water bottles carefully, as some varieties of those are made with #3 and #7 plastic. The plastic number should be at the bottom inside something that looks like a recycle symbol. You definitely don’t want your child drinking out of BPA-laden plastic! Canning is a great way to preserve the harvest, but many canning jars also contain BPA in the lining. Fortunately, there are BPA free options, like these jars with glass lids from Weck Jars. In most situations, breast is best, and we’re now learning that infant formulas contain BPA from the packaging. You can lower the risk of BPA exposure by using powdered formula, if breast feeding is not an option. EWG has more detailed tips on BPA in formula and baby bottles. Of course, the best way to avoid BPA would be to ban the stuff all together. Start a petition to tell Congress to ban BPA in all consumer products. Do you have more tips for keeping BPA out of our bodies? I’d love to hear them in the comments!